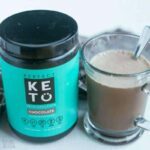 For those who need a chocolate fix, you’ll love that these paleo keto brownies are rich and chocolatey. And, they have no sugar, gluten, dairy, or flour. I’ve been experimenting a lot with psyllium lately. Not only is it a good substitute for eggs, but it’s also a good bulking agent. You do need to be cautious when incorporating this high fiber supplement into your diet. It should always be used with adequate water intake. And, like consuming any fiber, you don’t want to go overboard. If you do, it can result in bloating and gas. So use it moderately. 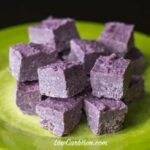 I did add psyllium to these paleo keto brownies, but I may try adding an additional egg or two in order to leave it out. I just didn’t want too much of an eggy taste. One of the reasons I’m reluctant to add more eggs is because I have developed a sensitivity to chicken egg whites. That’s why I used the equivalent amount of duck eggs in the recipe. If I added one more egg and omitted the psyllium, I wouldn’t have been able to test the result. So, I’ll need to find someone else to do the taste testing. 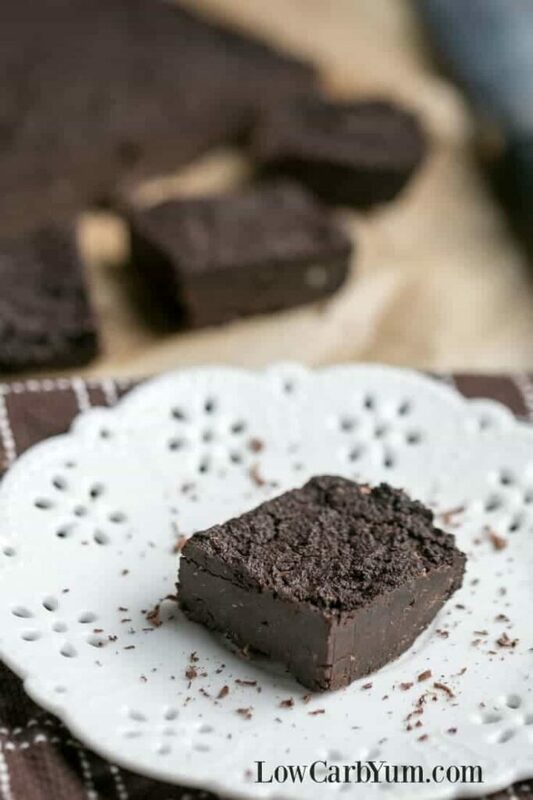 These paleo brownies are very similar to a flourless chocolate cake that I’ve made. And, most of the carbs are from the chocolate itself of which some is in the form of fiber. 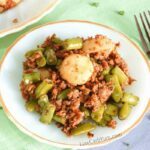 There are a lot of products out there touting a really low net carb count due to high fiber content. I don’t recommend using these products on a regular basis. Especially after reading Maria’s article. In fact, a lot of net carb products with high fiber are actually highly processed junk food. 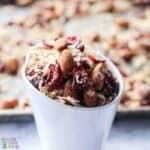 It’s much better to get your fiber intake from whole foods. The natural fiber in chocolate isn’t something you need to worry about. 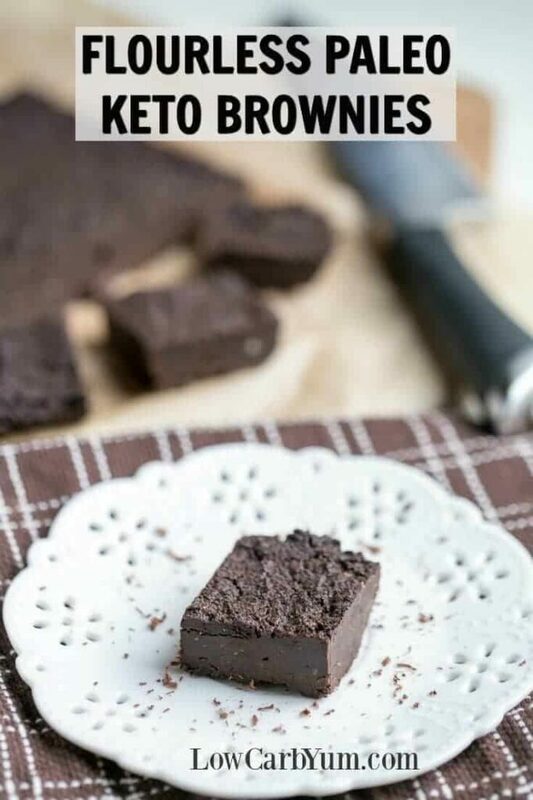 So, whipping up a batch of these paleo keto brownies can be a safe indulgent treat. I was very happy that chocolate did not show up as a food I’m sensitive to. 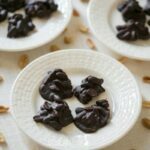 However, I did show a sensitivity to carob bean which is often used as a substitute. 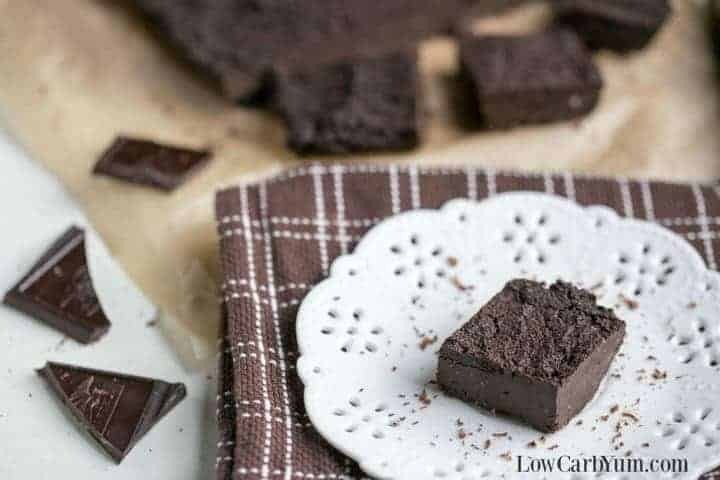 Without using a bulk sweetener or a high fiber syrup sweetener, it’s nearly impossible to make paleo keto brownies that are soft and fudge-like. 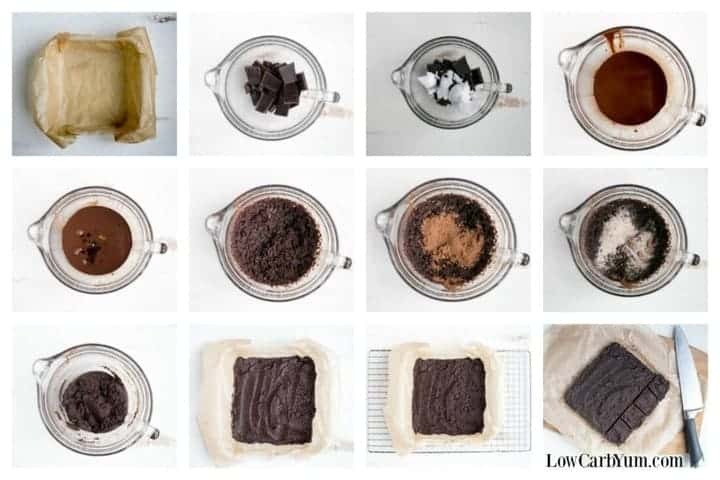 I was able to recreate the texture of normal brownies in another recipe, but it relied on polydextrose or use of a fiber syrup. 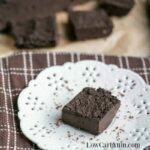 I’ve also had success making a moist cake-like low carb brownie using zucchini. You can find that recipe here. 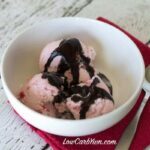 I did use Carbquik in the original recipe, but I’ve moved away from it due to the gluten. Almond flour or a mix of almond and coconut flour is a good replacement. 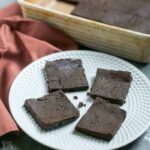 In fact my zucchini brownies are a recipe that I’d like to rework now that I have more experience with gluten free low carb recipes. 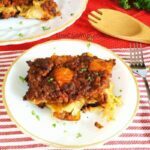 The Low Carb Yum site has grown so much over the years, I often lose track of some of the older recipes. One day soon, I hope to publish an actual cookbook so I can share a lot of the recipes I’ve posted over the years in a paper copy. And, I’d like to create a few new recipes exclusive to an offline book. Although eBooks have become very popular, I lot of people still prefer traditional cookbooks. 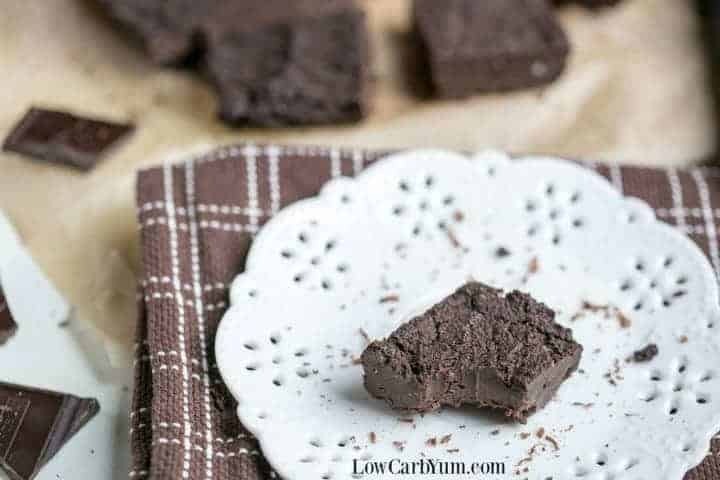 For those who need a chocolate fix, you'll love that these low carb paleo brownies are rich and chocolatey. And, they have no sugar, gluten, dairy, or flour. 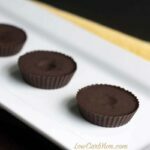 Place coconut oil and unsweetened baking chocolate in a microwaveable bowl. Microwave until completely melted. Add eggs, stevia, monk fruit, and vanilla extract to melted chocolate mixture. Combine with electric mixer. Stir in unsweetened cocoa, psyllium husks, and salt. Spread into parchment paper lined 8x8 baking pan. Bake at 350°F for 25 minutes. Cool completely before slicing. An additional egg can likely be substituted for the psyllium. I will test that next time around and update the recipe if needed.